Temperature Indicators: To Condition or Not to Condition … That is the Question - MED Alliance Group, Inc.
Irreversible blood temperature indicators help ensure that the blood products stay within the appropriate temperature range. This can ultimately save money by reducing blood wastage, while also maintaining quality control. The problem? Not all indicators on the market are created equal. The ones that require conditioning in some way don’t always meet the needs of today’s busy, fast-paced blood banks. The temperature indicators are stored with blood for 24 hours, and the Safe-T-Vue 6 and Safe-T-Vue 10 do not need any conditioning. The indicator does not need to be heated prior to use and does not need to go back into the refrigerator prior to use once it’s been applied to the bag. Other indicators on the market say they require “no conditioning” – but that’s simply not the case. Some require being heated to a specified temperature for 60 seconds prior to activation. 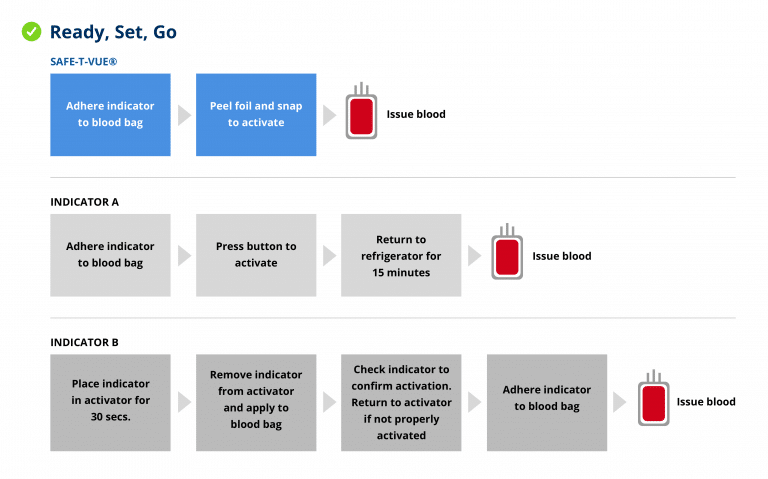 Some map out “best practices,” which recommend putting the blood bag back into the refrigerator for 15 minutes once the indicator has been activated. The problem here is that the activation process can be delicate in the former example – and waiting for blood as in the latter, even for just 15 minutes, is very often not an option. 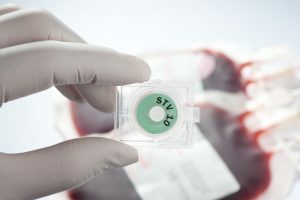 To save even more time, inactivated Safe-T-Vue indicators can be adhered to blood bags as they are received – then put back into the refrigerator until needed for quick dispensing. The indicator can be activated when the blood product is requisitioned. And once activated, Safe-T-Vue indicators are good for 42 days compared to the other indicators that must come off the blood bag after each reissue. This makes the Safe-T-Vue the only indicator that can be reissued multiple times on the same unit of blood. To learn more about the Safe-T-Vue indicators by TempTime, please email us or call 888-891-1200.